Corporation tax services Under Corporation Tax Self Assessment (CTSA), the legal responsibility for correctly calculating the corporation tax liability falls on business owners. 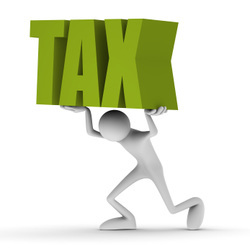 We understand the issues facing owner-managed businesses and can prepare tax returns in a timely and efficient manner. We will also calculate your company's tax liability and assist with the calculation of any instalment payments. Being the subject of a tax investigation by HMRC can be a stressful and worrying experience. With the onset of personal and corporate self-assessment, HMRC staff can now review cases on a 'sample basis'; consequently, tax investigations have become more frequent. We have experience in dealing with HMRC investigations, whether they are enquiries into an individual’s Tax Return under the Self Assessment regime, more detailed enquiries or employer-related investigations into PAYE and P11d compliance. If you are about to be the subject of an investigation, we can provide expert help and support.